The federal district court in Fresno issued a strong order yesterday supporting many of the claims made by AquAlliance and co-plaintiff partners. 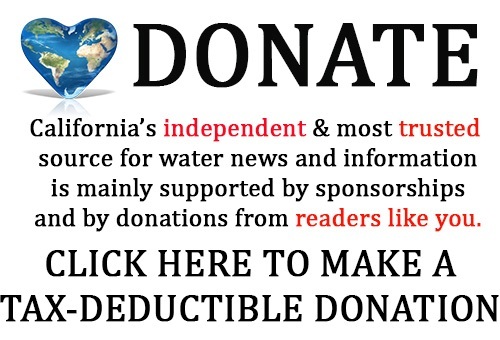 The lawsuit was filed in May 2015 against the U.S. Bureau of Reclamation (USBR) and San Luis Delta Mendota Water Authority (SLDMWA) over their inadequate disclosure, avoidance of impacts, and mitigation of major water transfers from the Sacramento Valley through the Delta to the San Joaquin Valley. USBR and SLDMWA (Agencies) approved a Program that could send up to 600,000 acre-feet of Sacramento Valley water south of the Delta – each year. When combined with additional state approved transfers, the total could be over 800,000 acre-feet each year. If history is any guide, half of the transfer water could come from groundwater substitution. 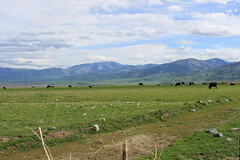 Although widely opposed by NorthState residents and local government, the Agencies moved forward approving the use of groundwater substitution, fallowing, reservoir releases, and conservation to make the transfers possible. The Agencies proposed a thin veneer for mitigating impacts that depends only on monitoring the stressed hydrologic systems (groundwater, streams, and rivers) to produce data that will be reviewed in the future by USBR and the California Department of Water Resources (DWR). The lawsuit asked the court to declare that the Agencies’ Environmental Impact Statement/Report was arbitrary and capricious, ignored relevant new information and failed to meet minimum requirements of the National Environmental Policy Act (NEPA) and the California Environmental Quality Act (CEQA). a. The absence of performance standards for groundwater mitigation measure. b. The FEIS/EIR failure to mitigate for land subsidence. c. The inadequate cumulative biological impact analysis regarding reduced delta outflow. a. Failure to evaluate the effectiveness of groundwater mitigation. AquAlliance’s co-plaintiff, represented by Aqua Terra Aeris, is the California Sportfishing Protection Alliance. Additional co-plaintiffs in the litigation are also the Central Delta Water Agency, Local Agencies of the North Delta, and South Delta Water Agency that are represented by the Soluri Meserve law firm. We are pleased to announce the release of the Progress Report for Implementing the Open and Transparent Water Data Act with Initial Draft Strategic Plan and Preliminary Protocols. This progress report on the implementation of the Open and Transparent Water Data Act (AB 1755, Dodd) includes project background, discussion of communication and engagement process to date, an initial draft strategic plan, preliminary protocols, and by citation, supporting information, reports, and references used in its preparation. We invite you to review the progress report and welcome your feedback. 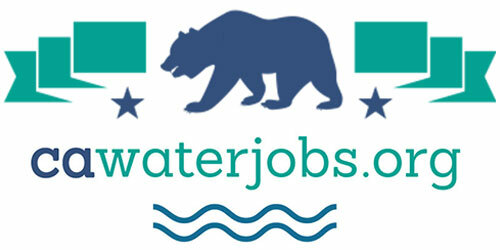 Please send comments to ab1755@water.ca.gov, or you may fax them to (916) 651-9289 Attn: Christina McCready. Comments received by March 16, 2018 will inform development of an April 2018 progress report, which will include a final strategic plan, evolving protocols and standards, governance and funding options, and an implementation plan. The Orange County Water District (OCWD) and Orange County Sanitation District (OCSD) today succeeded in the attempt to set a GUINNESS WORLD RECORDS™ title for the Most wastewater recycled to drinking water in 24 hours. The GUINNESS WORLD RECORDS title was achieved by the Groundwater Replenishment System (GWRS), which is the world’s largest water purification facility of its kind. This achievement commemorates the 10th anniversary of the facility, a collaboration between the two districts. The GUINNESS WORLD RECORDS title attempt to produce the most wastewater recycled into drinking water in 24 hours started at 3:30 p.m. on Thursday, Feb. 15. The successful completion of the GUINNESS WORLD RECORDS title attempt was announced Friday, Feb. 16, during the Winter Fest, a public event that was held at the GWRS facility. The celebration included a community toast with recycled water from the facility. Currently, regulations limit the use of advanced purified water to replenish groundwater basins even though the GWRS facility creates water that exceeds state and federal drinking water standards. California law AB 2022, adopted in 2016, seeks to expand the public’s awareness of water treatment advancements by allowing agencies such as OCWD to bottle highly purified recycled water to be handed out for free as an educational tool. The water is so pure, it is near-distilled in quality. The awareness effort is occurring as the state marches toward direct potable reuse of this water. Around the world there are facilities similar to the GWRS, but the Orange County facility is considered the largest of its kind. The GWRS currently produces 100 million gallons a day of highly purified recycled water to inject into the Orange County Groundwater Basin, managed by OCWD, to increase local drinking water supplies and to prevent seawater intrusion. Work will soon be under way to expand its capacity to produce 130 million gallons a day of purified recycled water—enough for 1 million people. For more information about the GWRS, visit www.ocwd.com/gwrs. The District is committed to enhancing Orange County’s groundwater quality and reliability in an environmentally friendly and economical manner. The following cities utilize the groundwater basin managed by OCWD and receive approximately 75 percent of their water supply from it: Anaheim, Buena Park, Costa Mesa, Cypress, Fountain Valley, Fullerton, Garden Grove, Huntington Beach, Irvine, La Palma, Los Alamitos, Newport Beach, Orange, Placentia, Santa Ana, Seal Beach, Stanton, Tustin, Villa Park, Westminster, and Yorba Linda. 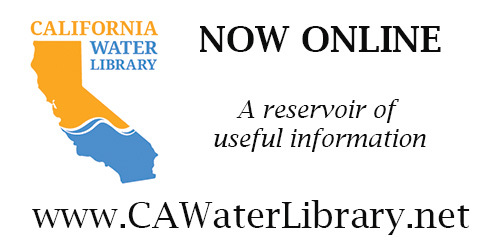 For more information about the Orange County Water District and its board of directors, call (714) 378-3200 or visit www.ocwd.com. OCSD is a public agency that provides wastewater collection, treatment, and recycling for approximately 2.6 million people in central and northwest Orange County. OCSD is a special district that is governed by a 25-member Board of Directors comprised of 20 cities, four special districts, and one representative from the Orange County Board of Supervisors. OCSD has two operating facilities that treat wastewater from residential, commercial and industrial sources. For more information, about the Orange County Sanitation District visit www.ocsd.com or call (714) 962-2411.